Billions of people globally are unconnected from basic Internet services creating a “Digital Divide” between urban populations, that have high-speed broadband Internet, and rural people who have no Internet access. Expanding Internet connectivity globally is providing opportunities for better education, enhanced health and well-being, and business opportunities that were not available previously. Redline is proud to serve such an important market with our high quality Virtual Fiber™ TV White Space (TVWS) broadband wireless radios. Redline’s TVWS radios deliver over 186Mbps of capacity with extraordinaryily low-latency providing users with the same broadband Internet performance and experience most urban populations enjoy today. Our TVWS radios enable end users to stream movies, utilize Voice Over IP to speak to family, start and support new business applications, provide information access to hospitals and clinics, and access to information for educational purposes. 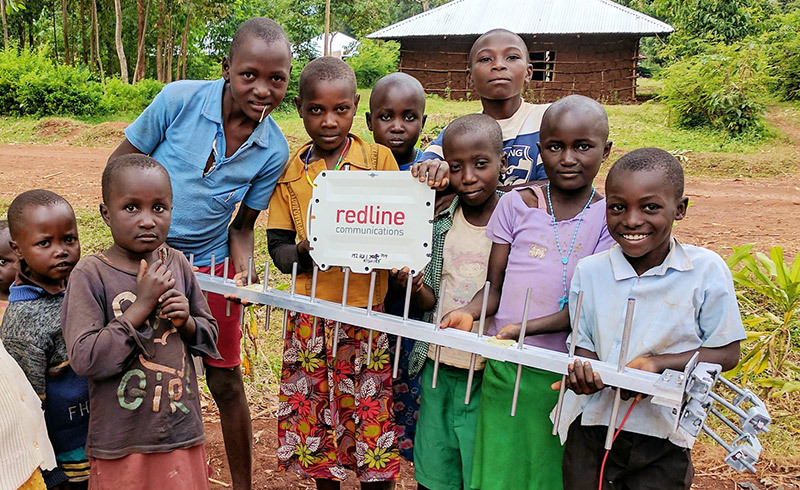 Redline is pleased to be working with a variety of spectrum regulators around the world to help define regulations and to deliver solutions from the cold snowy mountains in Canada to the jungles of Colombia and forests in Africa. Whether you are an ISP or a WISP delivering a new service, or a government agency connecting your citizens in remote areas, Redline has the products and expertise to help build your projects from start to finish as a trusted advisor. Our experience goes beyond products to assisting with government grant applications, providing advice on regulatory rules, advising governments on best practices when connecting 10’s or even 10,000’s of villages, schools, hospitals, and other rural government services buildings.